Microsoft has rolled out a minor – and I mean minor – update to Skype for Windows Phone that brings some tweaks to the UI and other fixes. The update, version 2.28.0.39 for those keeping score at home, is available now and after updating, I personally haven’t seen any changes in the video-meets-messaging-meets-social networking app. Regardless, if you use Skype on Windows Phone you should grab the update as it does have general fixes in it which would improve performance on certain devices. 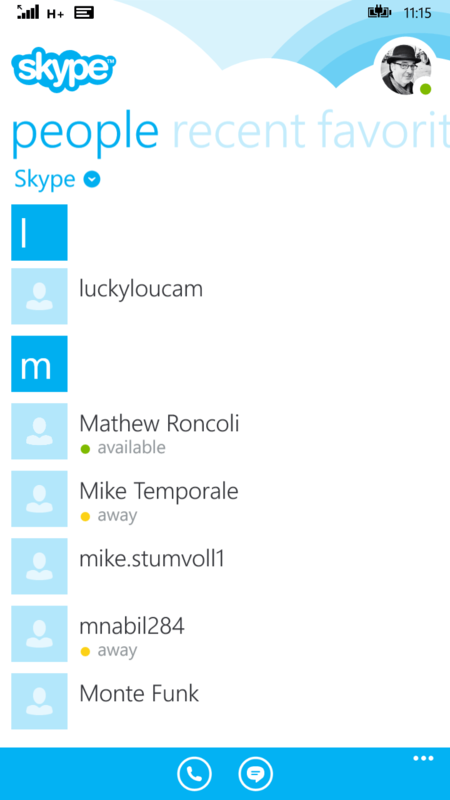 Skype Qik for Windows Phone also saw an update which brought a key new feature to the video sharing app. experience on 5+” display devices as you could see more on the screen than you could prior. In addition to the updates to Skype for Windows Phone, the Skype Qik for Windows Phone app also got an update. That update was actually bigger than the Skype one in that it brought a new sharing feature to the app. Skype Qik and Skype for Windows Phone is free and available now in the Windows Phone Store. You will need either a Skype account or you can use your Microsoft account to use the app and service.